Go underwater at the Miami Seaquarium and explore the world of tropical fish, dolphins and other marine life. See Salty the sea lion, one of the aquarium's big stars and his Reef Rangers. One of the country's first marine parks, this is a must-see while in Miami. Located on beautiful Biscayne Bay, come and visit the world-famous Miami Seaquarium, with over 38-acres of tropical paradise. Home to 8 different marine animal shows, a 750,000 gallon saltwater aquarium, and an array of animals and tropical birds. See dolphins, manatees, stingrays, and the awesome Penguin Isle home to African penguins. 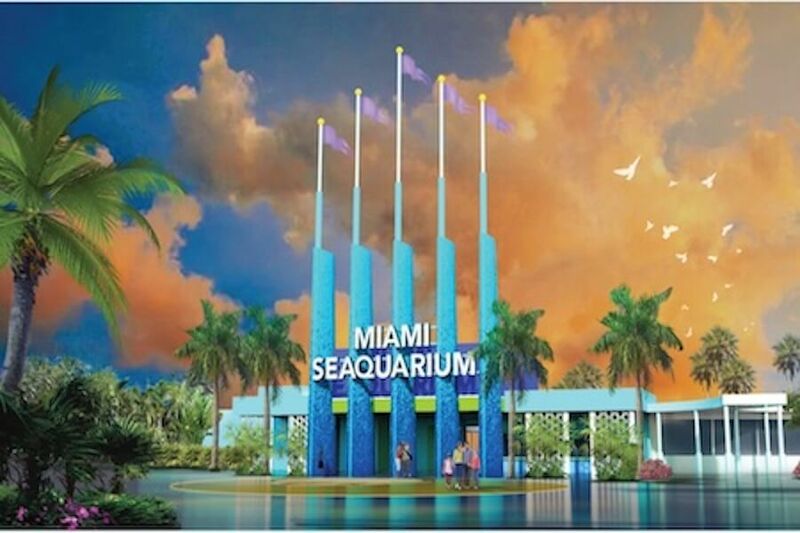 The Seaquarium is a well-respected wildlife conservation and rehabilitation facility, helping numerous marine animals get back to a healthy life. This world-class marine life entertainment park has something for the entire family! Food, beverage, souvenir concessions and facilities are located conveniently throughout the park making for an entertaining, educational and fun day. The tour includes round trip transport from select Miami Beach and Downtown hotels, and admission to Seaquarium, so relax and enjoy the experience! And the skyline views of Miami are fantastic from the park. Pick up from your downtown Miami or Miami Beach hotel starts at 8:30am. Once you've made your booking with us, you will need to confirm your reservation with the supplier at least 48 hours prior to your tour date. Contact information will be provided on your E-ticket. E-ticket is valid for service date only and expires upon redemption.